Do you.. ? - Awak kah ? Adakah awak ? Does she...? - Dia kah ? Adakah dia ? Does he ...? - Diakah ? Adakah dia ? Did he ... ? - Diakah ? Adakah dia ? Did she ...? - Diakah ? Adakah dia ? Kedua-dua this, these bermakna ini. Bagaimanapun, this digunakan kepada benda yang bilangannya hanya satu. these pula digunakan kepada benda-benda yang bilangannya lebih dari satu. Apakah maksud "kerja" dalam bahasa Inggeris? Saya pasti, tak sampai tiga saat anda akan jawab "WORK!" Dalam bahasa Inggeris ada maksud lain bagi work. Bukan kerja sahaja. 1. Dalam sesetengah keadaan, work juga bermaksud FUNGSI/BERFUNGSI. atau sistem. Samada berfungsi dengan baik atau berfungsi dengan berkesan. His phone doesn't work unless he goes to a high point. - Telefon dia tidak berfungsi dengan baik melainkan dia pergi ke tempat yang tinggi. Mungkin dalam fikiran kita sebelum ini, kita akan cakap, His phone can't use dll. Jadi, selepas ini boleh gunakan ayat baru dengan menggunakan perkataan WORK. If you place the vase over there and the sofa here, it works. > Jika awak letakkan pasu itu di sana dan sofa itu di sini, ia nampak cantik. P.S: Dapat gambaran tak? Belajar Bahasa Inggeris sebenarnya tidak terlalu susah yang penting ada minat dan kemahuan. Study the stimulus or topic given. You are given two minutes to prepare your responses. You are given two minutes to present. Listen to the others while they are making their presentations and take down notes for the group discussion in Task B. 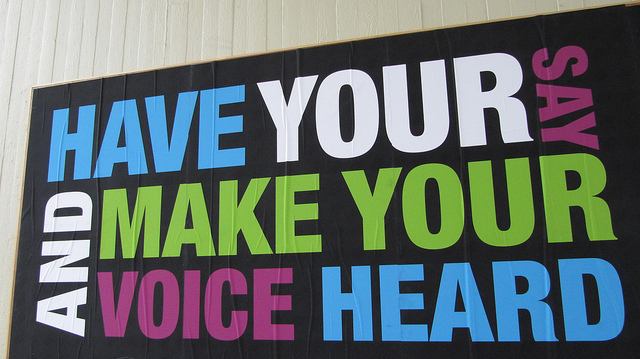 You are given two minutes to prepare points to support or oppose the other candidates’ views. After you have listened to everyone, try to come to a decision as to which of the four suggestions is the best. Your group is given ten minutes for the discussion. Task A and Task B will be carried out consecutively. Your brother has been given the opportunity to study in England on a government scholarship. You and your family are very proud of him. Decide on a special gift for him to prepare for his trip abroad. Task A: Suggest that they give him cash. Say why. Task B: Discuss which of the following would be most useful. Good morning to the examiners and my fellow friends. I’m very happy that my brother has just received a scholarship to study in England. My relatives and I would like to give him a special gift. We all think that the best gift is money because it will be very useful for him. The first reason is with cash he can buy the things that he needs when he gets there. There will me a lot of things that he will need like new books, stationery, clothes and food. He will also need to pay for transportation like taking the bus or train to go to the university campus. As we know, it is very expensive in England so any money we give him will be very useful. Secondly, my brother can use the money to buy a mobile phone when he gets to England. I think this is very important in case of emergencies so we can contact him easily. Furthermore, he can sms us and keep us updated with his progress in his studies there. Hence, if we really miss him we can just give him a call. Finally, I also think giving him money is the best choice because it is light and doesn’t take up a lot of space. If we were to give him a computer, books or winter clothes it will be very heavy and bulky for him to bring to England. Therefore, I think that it is much easier to bring money and buy those things when he gets there. In conclusion, these are some of the reasons why I think giving him cash is the best choice. To me, it is the most useful gift we can give him. Thank you. Task A: You suggest that they give him a computer. Say why. A very good morning I bid to one and all. My relatives and I are very proud of my brother. He has just received a scholarship to study in England and so we would like to give him a special gift. We believe that the best present for him is a laptop computer. Firstly, as a university student, my brother will have to do many assignments. If he has a laptop computer he can bring it everywhere and consequently, do his work anytime and anywhere. Thus, he will not have to share the computers at the computer room with other students and he will be able to do his work more quickly and efficiently. Another point is that when he boards the plane from KLIA to London, he will be able to bring the laptop with him easily because it is compact and light compared to a desktop computer. Hence, it will not be too much trouble to transport it to England. Last but not least, if he has a laptop he will be able to connect to the internet. This has two main advantages as firstly, he can do a lot of research online. The world wide web is a fountain of information so it will be very useful for him to make full use of this technology. Furthermore, he can keep in touch with friends and family here in Malaysia by e-mail. In short, a laptop computer will prove to be very useful to my brother. He can do his assignments, research for information and keep in touch with us using it therefore it will make the best gift. Thank you for listening. Task A: You suggest that they give him some suitable clothing. Say why. To the examiners and my fellow candidates, a wonderful morning I bid you. My brother was lucky enough to receive a scholarship to study overseas. We want to send him off with a nice gift so we have decided to buy him some suitable clothing. The main purpose for buying him some suitable clothing is because the weather in England is very different from the weather in our country. There are four seasons there so he will need to have different clothes for different situations. For example, we can buy him some sweaters, cardigans, scarves, snowcaps, thick socks and gloves and many more. These will definitely keep him warm in winter. The second reason is we think that he should have clothes that reflect our Malaysian identity. This is because he will be a young ambassador for our country so if he has a few sets of traditional clothing like the Baju Melayu or formal Batik shirts, I am sure he will not only look good but promote our culture overseas. Lastly, neat clothes make a good impression. For instance, if we buy him some everyday clothes like jeans and trousers with nice shirts and matching ties, this will give him a good feeling about himself so he will walk a bit straighter and talk a bit wiser. Moreover, people will look at him and have a good impression about Malaysian students. To conclude, I think that the best present to give him is some suitable clothing because it will be very useful and will reflect positively on him. Thank you very much. Task A: You suggest that they give him some Malaysian foodstuff. Say why. I would like to wish everyone here a very good morning. As we all know, my brother has won a scholarship to study in England. Therefore, some relatives and I have decided to give him some Malaysian foodstuff as a going away present. First and foremost, one of the main problems Malaysians face when studying overseas is that it is hard to find Halal food. We feel it is a good idea to give him some Malaysian foodstuff because it will take time for him to get used to the place and find out where to buy Halal food. Thus, in the meantime he can enjoy the Malaysian foodstuff that we have given to him. The next reason is because some of the foodstuff we are used to having here in Malaysia is quite hard to find in UK. Most students studying overseas really enjoy eating Maggi Mee and sambal belacan. For instance, it is also hard to find the right spices for curry and rendang and so on so if we supply him with enough Malaysian foodstuff, he can eat it whenever he misses home. The final point I have is that he can use the Malaysian foodstuff we give him and cook it for the Westerners there. Sometimes, universities organise events like Malaysian Night and so he and his friends can cook some Malaysian specialities for them to taste a bit of our way of life. Hence, the Malaysian foodstuff will be very useful to promote our culture. In a nutshell, giving my brother Malaysian foodstuff to take with him to England is a good idea. This is because he will have some familiar food to eat when he misses home and he can also share it with his new friends. Thank you for listening to my opinion. Bahasa Inggeris memang menjadi satu kewajiban kepada semua mahasiswa dan mahasiswi untuk sekurang-kurangnya tahu dan boleh bertutur dalam bahasa ini. Sejak dari bangku sekolah lagi sudah kita diajar dengan Bahasa Inggeris. Bermula daripada fonetiknya sehingga pembinaan ayat dan perbualan. Namun baru-baru ini pada pembentangan belanjawan 2015, kita dikhabarkan dengan berita terdapat syarat minimum untuk melayakkan calon lepasan SPM dan STPM memasuki IPTA iaitu Band 2 bagi ujian MUET. Apa itu ujian MUET? Seperti yang ramai sedia maklum, MUET ialah singkatan kepada Malaysian University English Test. Ianya dikelolakan dibawah pengurusan Majlis Peperiksaan Malaysia dan dilaksanakan tiga kali setahun, Mac, Julai dan November. Setiap keputusan, sahlakunya adalah lima tahun bagi keputusan MUET selepas tahun 2009. Terdapat empat komponen yang diuji di dalam ujian MUET ini. Iaitu Listening (45), Speaking (45), Reading (120) dan Writing (90) dengan markah keseluruhan 300. Bagi memenuhi syarat minumum kelayakan ke IPTA, Band 2 perlu diperolehi setiap bakal mahasiswa dan mahasiswa dengan markah di antara 100 hingga 139. Bermula pada Januari 2015, kelayakan minimum kemasukan pelajar ke IPTA adalah mengikut bidang pengajian yang hendak mereka ceburi. Bagi syarat untuk bergraduan pula telah ditetapkan untuk setiap bidang pengajian di atas meningkat satu tingkat Band. Malaysian Examinations Council (Majlis Peperiksaan Malaysia) has announced officially that Malaysian University English Test (MUET) will be conducted three times a year, expected to be held in March, July and November every year from 2012 onwards. Very good command of the language. Highly expressive, fluent, accurate and appropriate language: hardly any inaccuracies. Very good understanding of language and contexts.Functions extremely well in the language. Usually for every passage, the first question will be on the first paragraph. They are questions No. 8, 15, 22 and ... so on. They are usually on the "controlling idea" of the passage. The "controlling idea" is the main idea for the whole passage. We hope you still remember that the first thing you do when you get a passage is to SKIM. Skimming is for you to identify the main/controlling idea of the whole passage. You have to read ALL of the first paragraph (introduction). The first paragraph usually carries the "thesis statement" of the passage or article. And, the thesis statement carries the controlling idea of the passage. Identifying the controlling idea helps you to understand the passage (text) better and helps you to answer all the other following questions correctly. So, try to identify the controlling idea of the passage and make sure you understand what the question wants. The other questions, that follow, will be for the following paragraphs and they seem to be arranged in order like "the next question will be for the next paragraph". At most times it is more or less like that. That seems to be the usual way that the questions are arranged for the passage. InsyaAllaah (God willing) you will get the answer correct. Jadi seperti yang dijanjikan pada entry lepas, harini aku nak cerita pasal MUET. Kalau bebudak matrik PST batch aku, dah ambil pun MUET. Dah dapat result dah pun. Kalau bebudak PDT batch aku akhir tahun ni diorang akan ambil. Kalau bebudak diploma, diorang ambik MUET ni sem 5 nanti, kalau tak silap aku la. MUET ni apa? MUET ni test pasal English la. Selain MUET, ada IELTS. 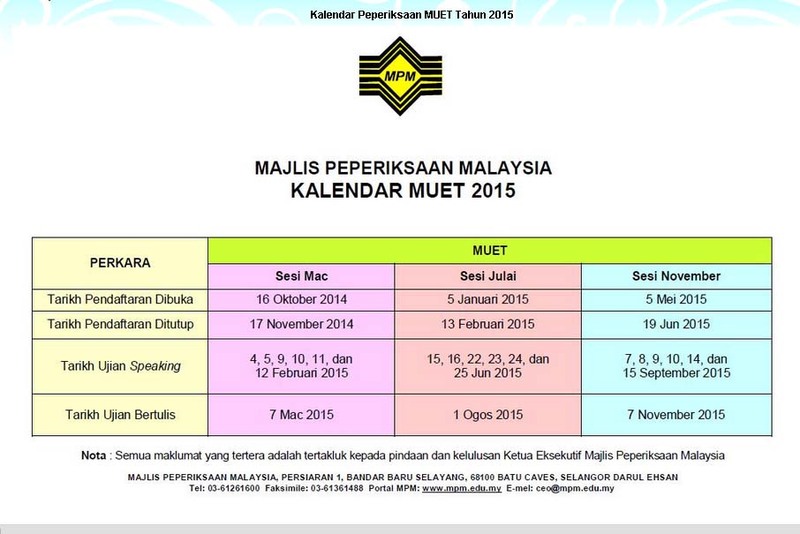 MUET ni standard Malaysia jer. IELTS ni International la, untuk bebudak yang buat preparation untuk study oversea. Kalau kau memang bercadang nak study oversea, better ambil IELTS terus. Tapi selalunya kalau U kerajaan, dia memang ada sekali MUET. Kau orang jangan pandang rendah pada MUET ni. MUET ni penting untuk degree nanti. Ramai budak matrik aku pandang rendah MUET ni, pastu dapat result, kecewa. Universiti yang grand grand banyak mintak band 3 ke atas. Kalau kau dapat 4.00 pun, kalau MUET band 2, susah nak mintak Universiti yang grand sangat ni. Lagi-lagi dalam bidang yang demand macam medic. Camni, kalau kat sekolah ada gred A sampai G, MUET ada band 1 sampai 6. Band 1 ni untuk orang yang memang langsung tak reti English. Tapi jarang la orang dapat band 1 ni. Kat matrik aku pun, aku tak pernah dengar lagi orang dapat band 1 ni. FAILED. Band 2 ni orang yang English dia cam kurang sangat. Bukan dia tak reti langsung English. Haa aku perhatikan ramai Budak Melayu dapat band 2 ni. Bebudak matrik aku pun ramai dapat band 2. Ramai juga budak yang akademik dia cemerlang, 3.5 ke atas tapi dapat band 2. FAILED jugak. Band 3 ni kira average la. Untuk orang yang biasa-biasa English dia. Ramai orang aim nak band 3 sebab band 3 ni kira band lulus la. Dah tak payah risau nak re-sit MUET lagi. Band 4 ni ramai Cina dengan India dapat. Melayu cam tak ramai sangat tapi still ada la. Kalau bebudak Melayu dapat band 4 dah kira Wowwwwww bagi orang lain. Band 5 dengan Band 6 tak ramai yang dapat. Band 5 mungkin ada la dekat matrik aku tapi band 6 takde sorang pun budak matrik aku yang dapat. Ada paper apa dalam MUET ni? MUET ni ada 4 bahagian. Ada speaking, writting, reading and listening. Ramai orang mengalami kesukaran pada bahagian speaking. Aku pun. Tapi jangan risau sebab speaking tak membawa markah yang banyak. Reading bawa markah banyak jadi kau orang score la bahagian reading. 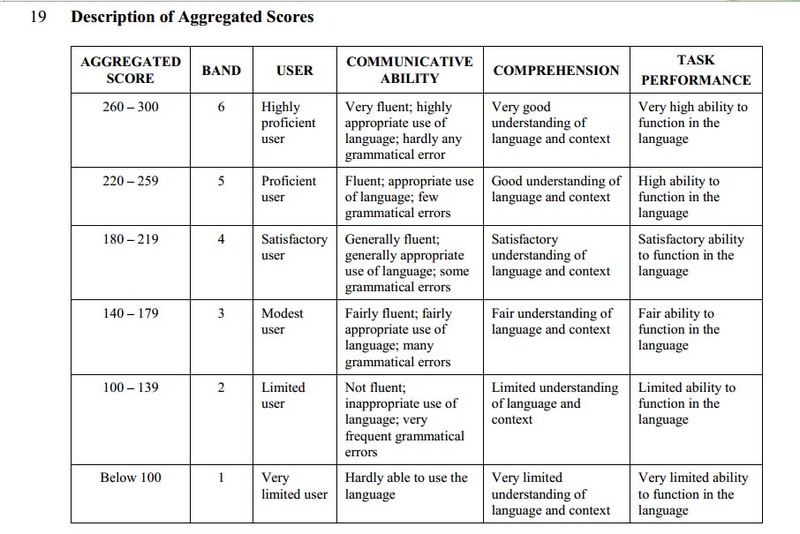 Macam aku, aku score bahagian reading. Jap ni skor permarkahan dia. Listening and speaking : each 45 marks. Nampak tak reading bawak banyak markah? Aku bahagian speaking memang teruk gila tapi sebab aku markah reading aku tinggi, jadi aku dapat cover bahagian speaking tu. Jadi apa nasihat untuk sesiapa yang nak improve English untuk MUET ni? (1) Banyakkan baca novel English. Secara jujurnya, aku dulu masa sekolah tak minat sangat dengan novel English tapi lepas sekolah, aku try la beli novel English. Eh, best pulak. Jatuh cinta pulak dengan novel English ni. Memang novel English ni mahal. Satu novel English boleh dapat 2 novel Melayu. Tapi apalah salahnya kita berkorban sikit untuk kejayaan kan? Penulis kesukaan aku of course Cecelia Ahern sebab cerita dia tak heavy dan sempoi untuk kita yang baru nak start minat novel English ni. (2) Tengok cerita English WITHOUT subtitle. Kenapa? Sebab kalau ada subtitle, korang akan tend to baca subtitle tu so korang macam buat dek je dengan apa yang actor tu cakap. Tapi kalau tak ada subtitle, korang akan bagi 100 percent fokus dengan apa yang actor tu cakap. Melalui cara ni, korang akan improve english korang. (3) Banyakkan cakap English dengan kengkawan. Memanglah malu kan memula. Tapi lelama kau akan okay. Tak payah cakap fully English kalau tak selesa. Cuma selitkan English yang mudah mudah dalam perbualan tu. Contohnya sorry, whatever, I don't care, nevermind, then, thanks dan sewaktu dengannya. Mulakan dengan benda yang simple dulu. Tu je la kot cara aku. Kengkadang cara ni nampak macam remeh, macam EH BETULKE BOLEH IMPROVE ENGLISH DENGAN TENGOK DRAMA/MOVIE? Yes boleh. Kalau aku dari A sahaja boleh dapat band 4 untuk MUET. Tak mustahil untuk korang. Jangan rendah diri sangat dengan result SPM kau. A+ pada SPM tak menjamin band 6 pada MUET. Bukan nak show off result MUET aku tapi cuma aku nak berkongsi tips. Mungkin tips aku ni dapat memberi manfaat kepada korang. Who knows right? IELTS macam adik beradik TOEFL je..tapi, kita boleh pilih nak choose yang mana satu. IELTS adalah akronim bagi International English Language Testing System. Test ini bolehla dipilih kalau korang adalah pelajar atau bekerja di negara yang guna BI sepenuhnya. Test ini diakui universiti dan perusahaan di berbagai-bagai negara terutamanya Australia, Kanada. IELTS diselenggara atas kerjasama University Of Cambridge ESOL Examinatios, British Council dan IDP:IELTS Australia. Modul Akademik (Academic Modules) berfungsi untuk menguji kemampuan berbahasa Inggris seseorang. Modul Umum (General Training Modules)menekankan pada kemmpuan bahasa dalam aspek sosial dan pendidikan. 60 minit dan ada 40 soalan. Untuk modul akademik, teksnya diambil dari majalah, surat kabar, buku, jurnal. Selain itu juga terdapat ilustrasi gambar atau diagram dan ilustrasi beberapa pertanyaan. Untuk modul umum, teksnya terdiri dari 3 bagian. Yang pertama disebut ‘social survival’, berisi teks2 yang berhubungan dengan kemampuan bahasa Inggris untuk kehidupan seharian. teks kedua disebut ‘training survival’, yang memfokuskan diri pada situasi dan program pelatihan. Teks ketiga disebut ‘general reading’, berisi bacaan yang lebih panjang dengan struktur bahasa yang lebih kompleks. 6 minit, and kena buat dua essAY. 150 dan 250 word. Dalam modul akademik, pada essay pertama peserta diminta untuk mendeskripsikan informsi dari sebuah grafik, diagram atau jurnal dengan pendapat sendiri. Lalu pada essay kedua peserta diminta untuk mengemukakan pendapat mengenai suatu masalah. Dalam modul umum, pada essay pertama peserta diminta untuk menjawab sebuah permasalahan dalam bentuk penulisan surat. Pada essay kedua peserta diminta untuk mengemukakan pendapat mengenai suatu masalah. bahagian pertama yg berlansung selama 4-5 minit, kita kena cerita pasal diri kita, keluarga, pekerjaan, hobi dan topik umum. bahagian kedua pula, kita dikehendaki baca sesuatu topik dan diberi 1 minit untuk pikir jawapan bagi soalan yang bakal diajukan. kemudian, penguji akan bagi soalan apa-apa dia nak laa...dalam masa 1-2 minit. bahagian ketiga, kita dengan penguji akan berbincang mengenai topik yang berkaitan dengan bahagian 2. dalam masa 4-5 minit. selalunya, untuk mendapatkan biasiswa, kita kena raih skor 5, 6 dan 7. tapi the highest skor 9. expert sangat2 ah siapa yang dapat skor tu. Nak dijadikan cerita laarr.. aku mlm tadi memang dah tukar jantina abes ! dari melayu terus jadi omputeh.. dgn rumet aku pun aku tibai speaking English, padahal just ckp “aii lambat balik? ?” xD wkwkwkw..
Then, pagi tadi aku bangun terlewat siket.. pukul berape nth tapi nak dkt pukul 7 lar.. nseb baik Keka kejutkn.. wuu ^.^ thanks kejut Keka! Aku solat dulu baru mandi sbb takut subuh abes, then tiba ... tibaa..
Mak aiihhhh... perut aku chet! Memulas giler!! Ni komfom! Komfom aku dah tak tertahan and terlambat untuk aku pi muet!! Disebabkan itu,, Haihh! 7.30 am orang dah kumpul, tapi aku baru nk streak tudung.. otoke.. ~.~ ! Tikah dah tepon aku, kata biler nak turun.. aku “haaa.. kejap! Kejap!” giler kelamkabut.. urghh clumsy! Aku mmg amek baju yg takyah streak, selendang jer aku streka.. otw nak pi library (sbb aku speaking test kat library) aku sempat mntak doa n restu mama n ayah =) moga2 aku dipermudahkan segala urusan amin! Then! Aku masuk bilik kuarintin.. ok fine aku lambat, so mmg patutlaa candidates yg lain pndang aku ann...sorg examiner tgh ngomel2 depan students kat bilik tu... aku senyum sengeh2 mcm kerang busuk bachen! Pastu aku nmpak ade sorang perempuan ni dok sorang2 then aku duduk ar tepi dia.. sian kn. Dok sorang2... meh aku temankan... aku rase yg lain ni pun main duduk je belum start to sit according to their group.. perh! Menyengat English sampai sangat! Tersengat aku dibuatnya! Haihh..
Ok, examiner pun Tanya, hey girl why u late? Aku jwb dengan sengeh2, hehe rrr.. stomach ache..
Haa mmg aku ni jadi tumpuan 19 orang budak yang lain laa... sbb dtg lambat and.... tiba2 kan..
Perempuan yg kat sebelah aku pun bangun.. hatiku berdetis.. asal laa dia ni bangun tak hormat ke examiner yg sorg ni tgh ngomel2 briefing kat kami?? Saat itu.... aku terpana! Haahh!! Tertampar! Terpegun! Terpaku! Termelekat kat dinding! So now let gone by gone! Breath in breath out! Takmo pikir2 lagi... alallaallalalallalalalal taknk dengar! Taknak dengar! Ok ! Dah !cukup kesewelannya hanya disitu..!